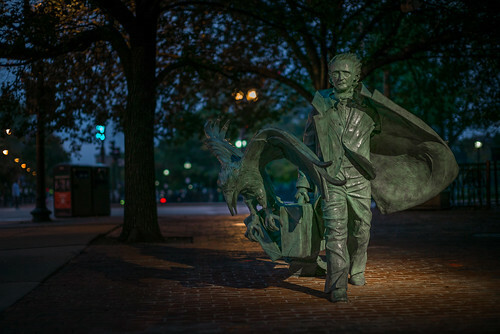 Happy birthday to Edgar Allan Poe (19 January, 1809 – 7 October, 1849)! One of my fav writers, ever. The bf adores him even more so. wow, has it comes around again so soon? *g* Happy Birthday, Mr. Poe! And thanks for all the hours of pleasurable reading. I know, the days/months/years are flying by, aren't they? Loosely related, starting here the web comic Full Frontal is running a storyline where their current RPG session has them running a Lovecraftian asylum.